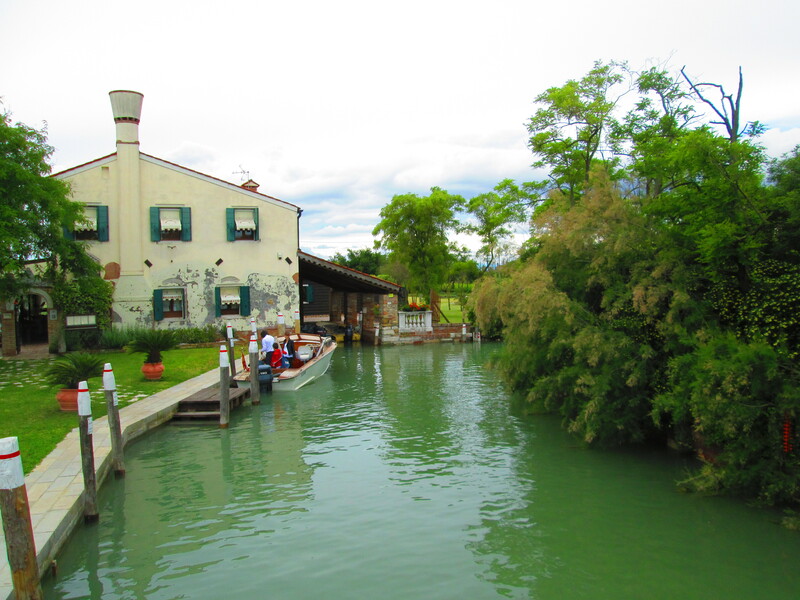 The first boat stop was Murano; it is a series of islands connected by bridges and lies about 1.5 km north of the city. 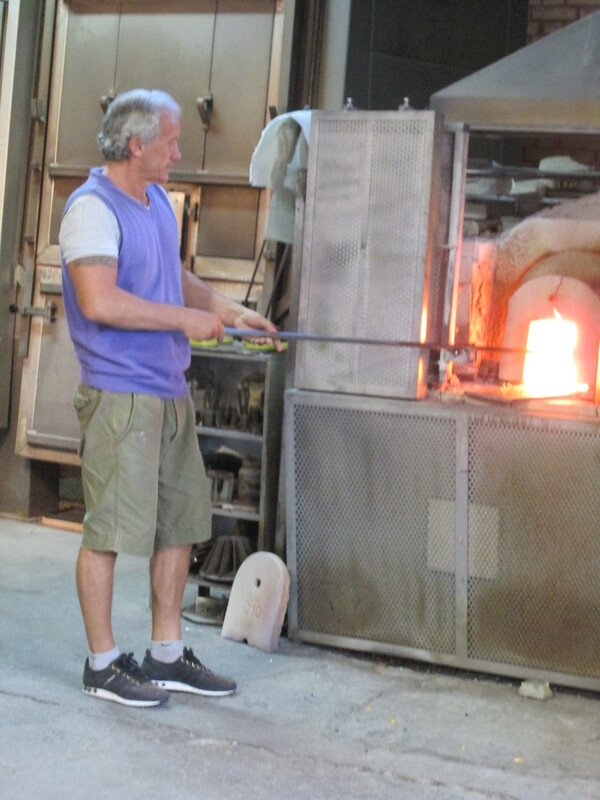 Its claim to fame lies in its history of glassmaking. 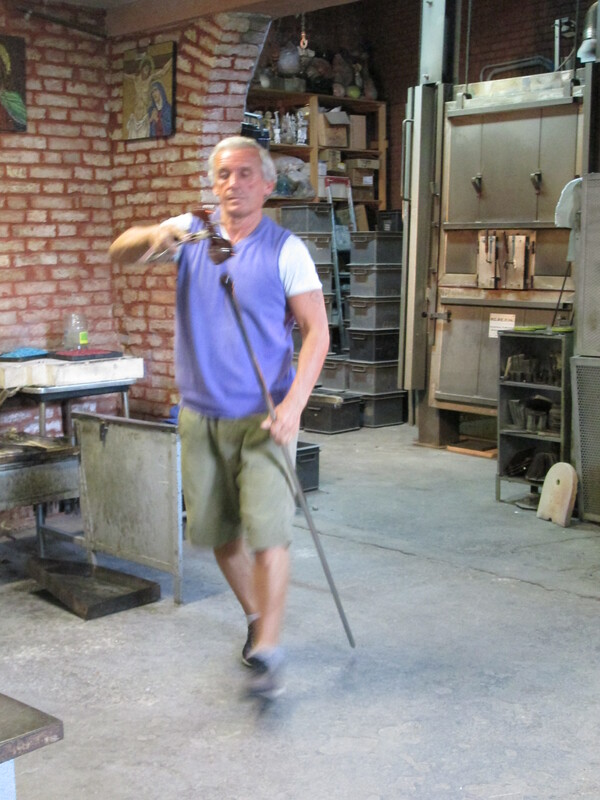 In 1291, the Venetian Republic, fearing destruction of the city’s mostly wooden buildings through fire, ordered glassmakers to relocate their foundries to Murano. 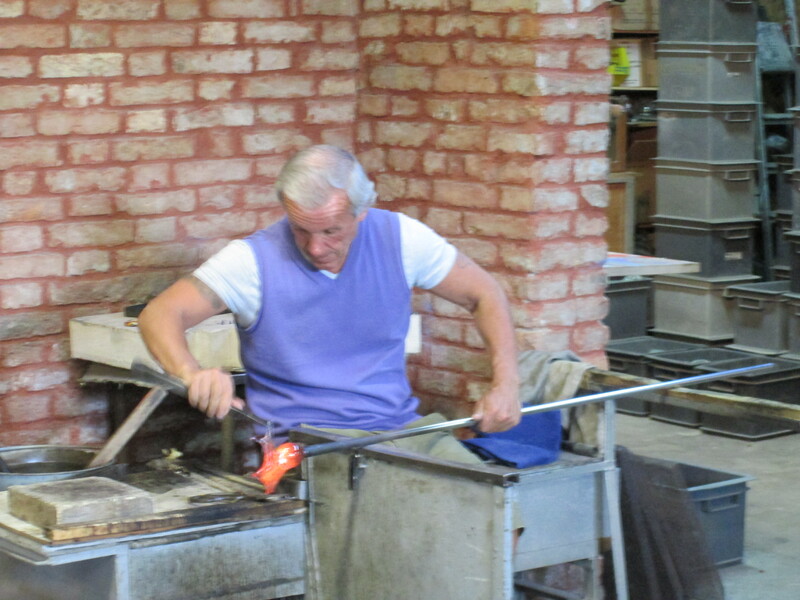 Murano’s glassmakers soon became some of the island’s most prominent citizens and enjoyed special privileges by the 14th century. They were allowed to wear swords, enjoyed immunity from prosecution by the state, and married their daughters into the city’s most affluent families. However, they were also forbidden to leave the republic, and often took risks migrating and establishing glass furnaces in the surrounding cities. Today, artisans still employ centuries-old techniques such as crystalline glass, enameled glass, glass with threads of gold, multicolored glass, milk glass, and imitation gemstones. 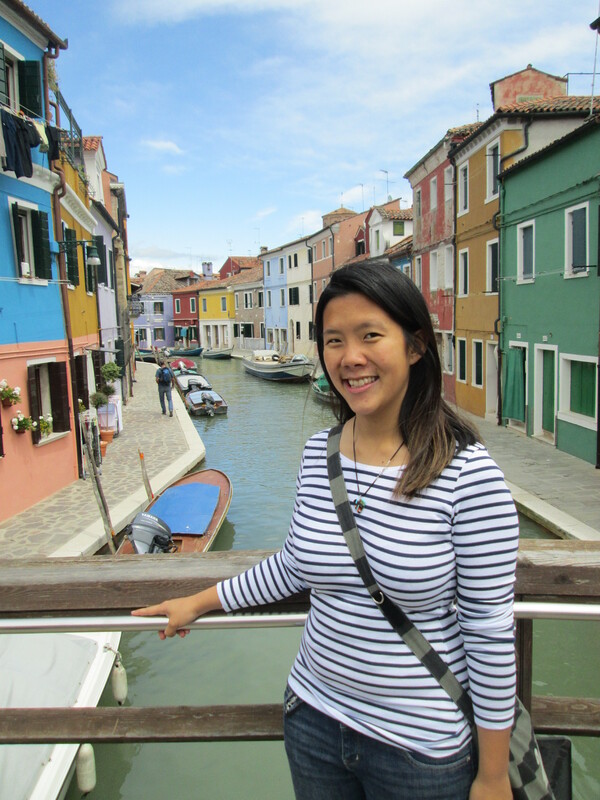 Our second stop was Burano, an archipelago of four islands linked by bridges; it is situated 7 km away. There are two stories attributed to how the city obtained its name. One is that the town was founded by the Buriana family, and the other is that the first settlers came from the small island of Burancello, which lies 8 km south. It soon became a thriving settlement as it arose from its 6th century origins, but was administered from Torcello and enjoyed none of the privileges. 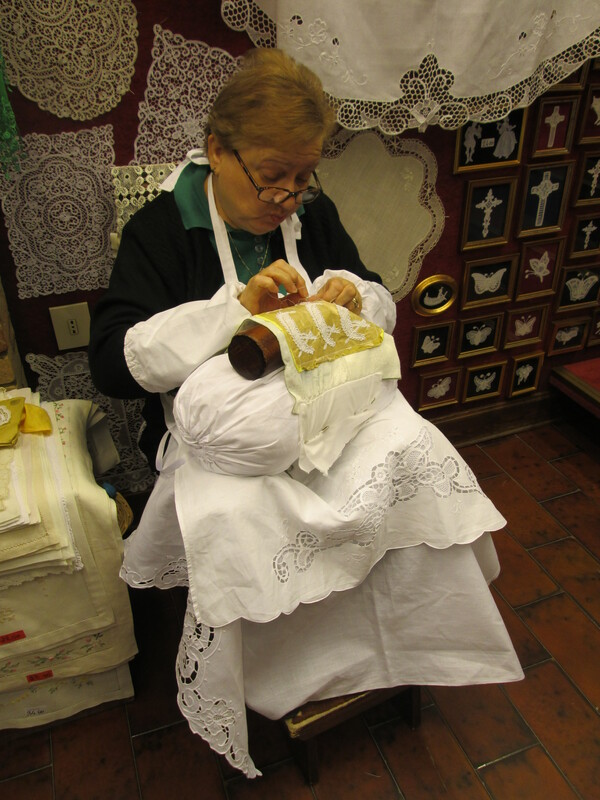 Burano only gained a foothold in the 16th century when women on the island began creating handmade lace with needles. The last stop was Torcello; one of the first lagoon islands to be successively populated by the Veneti after the downfall of the Roman Empire. They used the island as a shelter, hiding from the recurring barbarian invasions, and as refuse after Attila the Hun had destroyed the city of Altinum and it’s surrounding settlements in 452. It remained unsafe even after the end of the Gothic War due to frequent Germanic invasions and wars. In the following 200 years a permanent influx of urban refuges was fuelled by Lombards and the Franks. 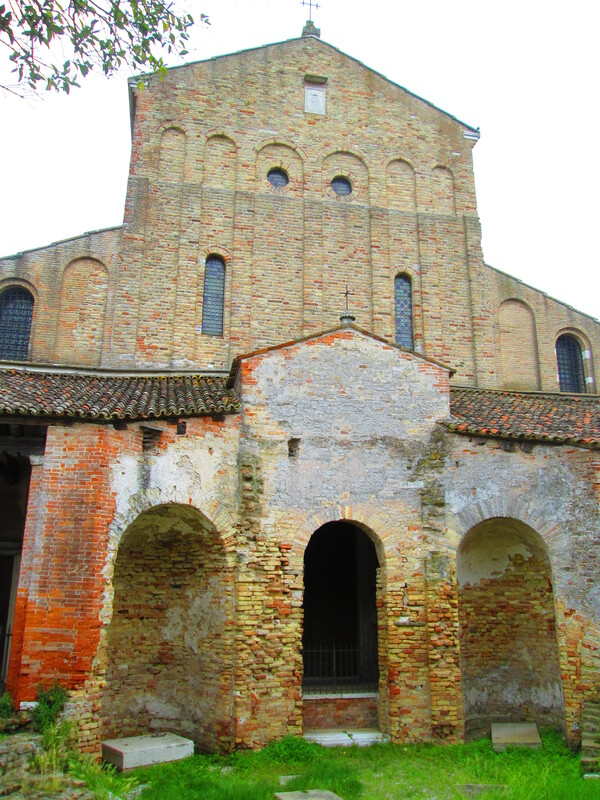 Throughout this, Torcello maintained close cultural and trading ties with Constantinople. Fortunately, the wet drops of rain only started as we hopped on the ferry from our last stop. We both enjoyed a nap on the long 45 min journey back to the ferry port next to San Marco Square.